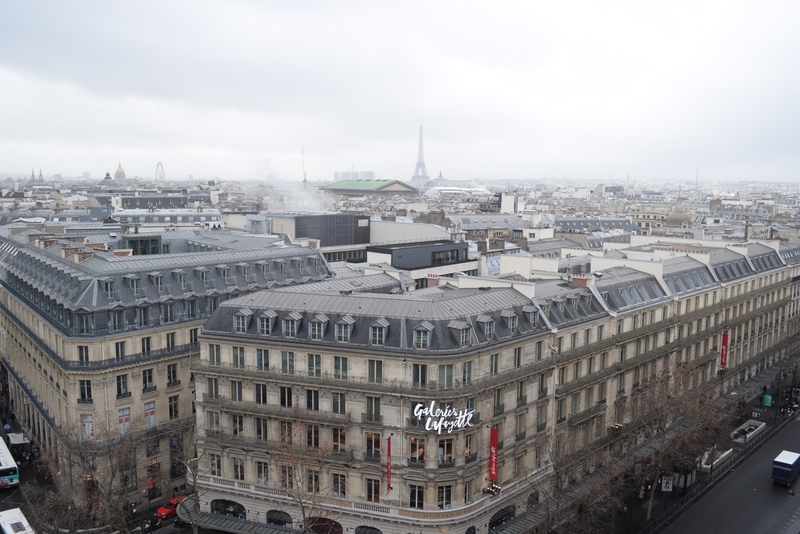 Opened 30 years after Au Printemps, Galleries Lafayette is a sight for sore eyes. It’s posh, but stunning. 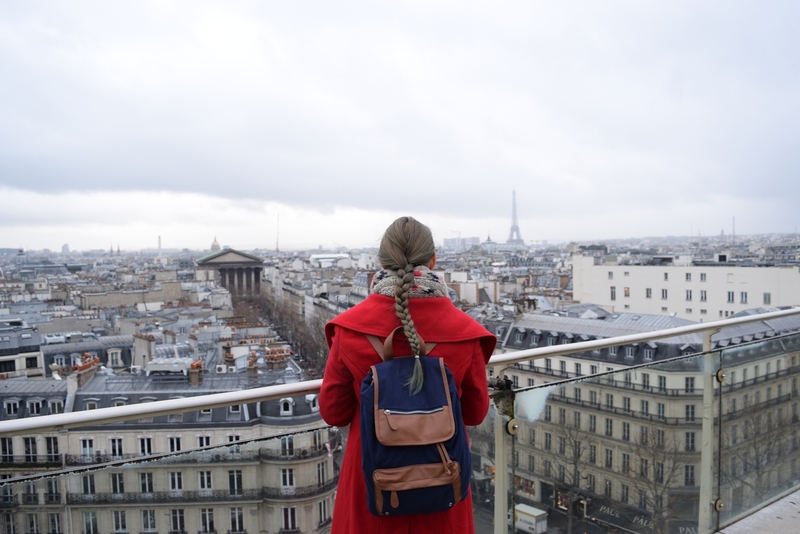 The rooftop terrace is situated on the 7th floor of Coupole (take the elevator to 6th floor and then take the escalator up) and offers a great panoramic view, while providing you with an opportunity for a close-up observation of the famous Opera Garnier (across the street). * You can easily walk from one building to another. It’s going to take you about 3 minutes. Both terraces may be closed for safety reasons if the weather is poor. When we were there, there was drizzle and yet everything was open, so if it’s raining, I does not mean you won’t be able to access the rooftop. Check beforehand, just ask some staff member, they’re all very polite and helpful. I wouldn’t have known about this one if it wasn’t for our great couchsurfing hosts. The Arab World Institute (French: Institut du Monde Arabe, abbreviated “IMA”) is an organization founded in Paris in 1980 by 18 Arab countries with France to research and disseminate information about the Arab world and its cultural and spiritual values (source). Once you enter this fascinating building, take an elevator to the last (9th) floor and walk towards the restaurant. Just before the entrance, turn left to the rooftop terrace. 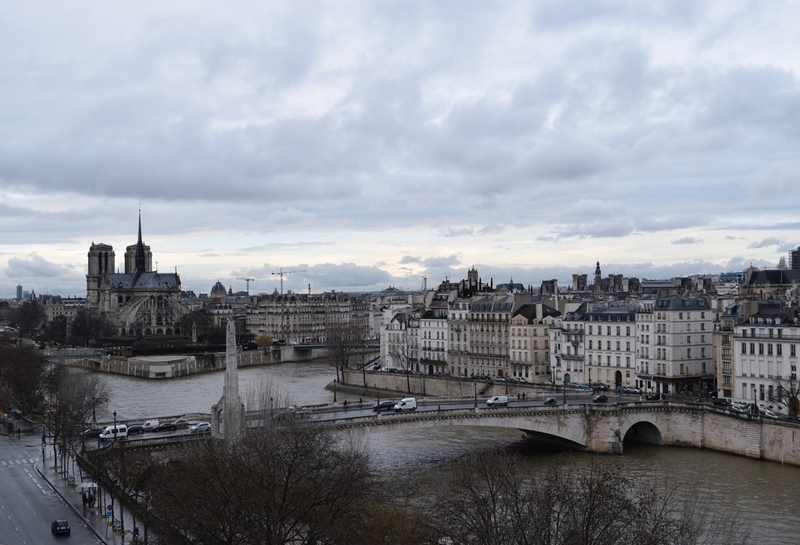 From here you get a sweeping view of the Seine, Cathédrale Notre Dame de Paris, Ile-de-la-Cité, Ile-St-Louis as well as the top of Centre Pompidou. Although Place du Trocadéro is nice to see, groups of tourists bother me a little. 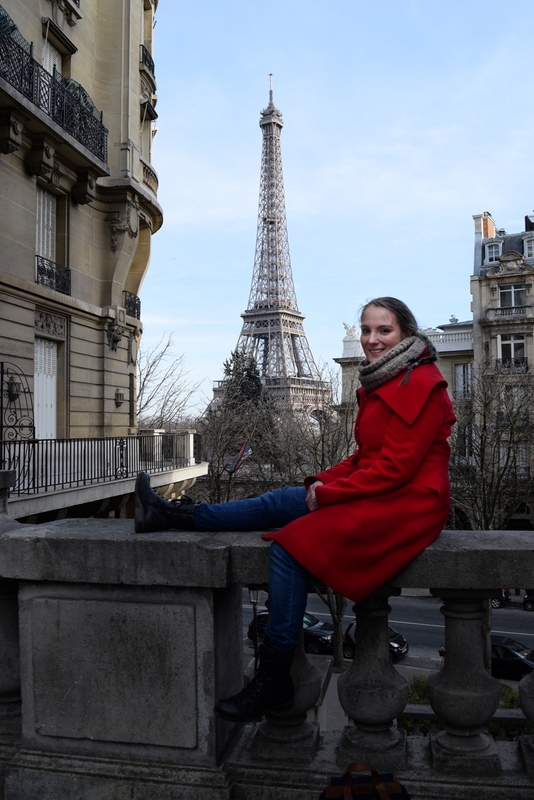 I was searching for a place that’s calmer, a little isolated from the crowds, where I could get a nice shot of the Eiffel Tower and voilà, at the end of Avenue de Camoëns you can take some stunning photos. Day or night, Alexander III bridge is always majestic. At night, it’s all lit up and Eiffel tower is glowing in the distance. During the day, you can get a better look at the detail and intricacy of the design, which is amazing. And guess what? 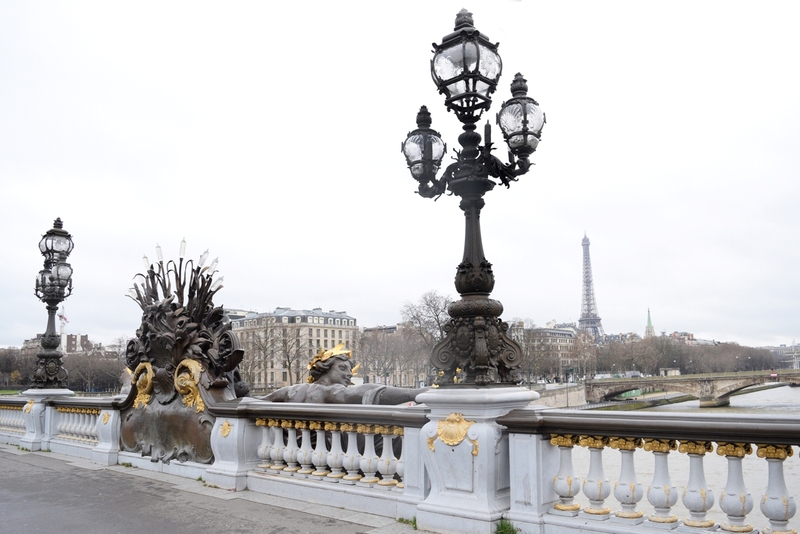 The bridge was designed by Gustave Eiffel! Build for the 1900 Universal Exhibition, it offers an unobstructed view of the Invalides complex. As a wannabe photographer, I was over the moon with the ornate lamps and statues that make each shot look beautiful. A must visit. These are my top five. Let me know if you have some more suggestions.